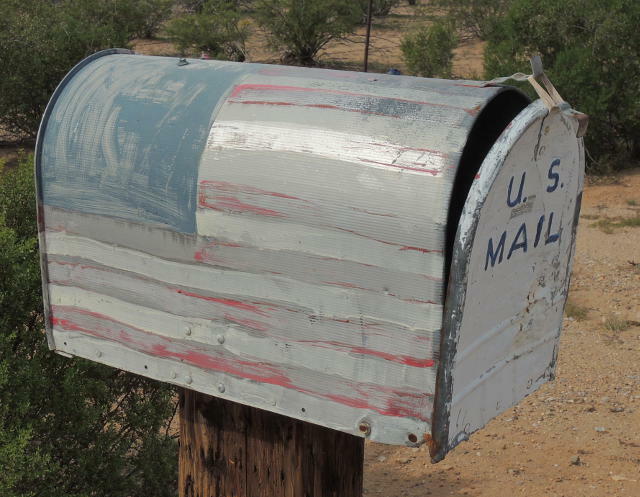 This flag-covered mailbox is just in time for Veterans Day. 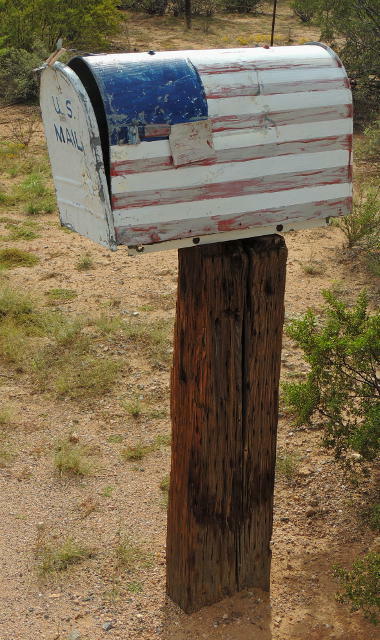 Although the address is on Manville Road, I spotted it a bit farther north on Sanders Road, October 25th. The door is held (mostly) closed with a thick rubber band. You can see that better in the photo of the other side, below. It faces south and has probably been blasted by the Sun for years.